"I invite you to see and learn about this corner of Mexico-through my eyes." Twenty years ago Geri Anderson moved to Oaxaca, Mexico knowing no one and knowing little Spanish. Her book Oh Oaxaca! 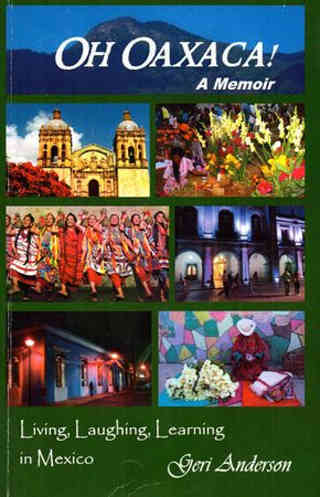 is a collection of anecdotes, essays and short stories of her experiences in Oaxaca. Oh Oaxaca! is a joy to read and, at times, to laugh along with. Anderson shares many stories of her life in Mexico. Getting along as a foreigner speaking little Spanish can be challenge. Some language stories are truly funny. Friends of hers went to the pharmacy to buy Preparation-H®. Not speaking Spanish, her friends relied on hand signs and gestures to communicate. I am not sure what hand signals you use to buy Preparation-H®, but it didn't work. They left with another item (read the book), too embarrassed to use more hand signals and gestures. 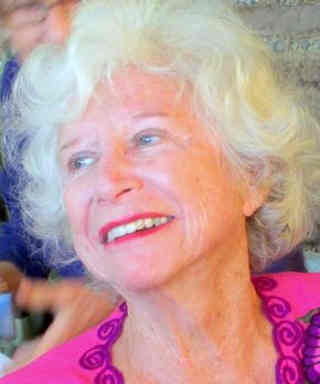 Geri Anderson's story of hurting her ankle in rural Mexico demonstrates the old and new Mexico. Out in the middle of nowhere, she gets out of a car and slips on a muddy road. The pain was excruciating and her ankle swells, her Mexican friends take her to the nearest town. The town's only doctor was a traditional healer or curandero. Anderson goes into detail of the curing methods of the curandero. She feels much better and the pain has subsided. When she returns to Oaxaca, her Mexican landlord is beside herself and takes Geri to a "modern" doctor. She healed fine and but wonders if just perhaps the traditional healer's method would have worked the best. "Sharing snippets of my life living in a culture very different and far away from my own," Anderson shows a side of Mexico many fail to see. Her short stories show differences in how Mexicans and Americans view time, family, nicknames and the elderly. You can read a chapter of her book HERE. This is the kind of book I wish I could write. The book leaves you with an urge to visit Mexico and experience life and its wonders. Geri Anderson grew up New England. Before moving to Mexico she was a newspaper reporter, teacher, social worker, public relations writer and freelance writer. Now she writes articles for fun and only sometimes, profit.